The Marquette Law School community is saddened by the news that Professor J. Gordon Hylton has passed away at age 65, following a battle with cancer. Gordon was a wonderful colleague on the Law School faculty. He joined the faculty at Marquette University Law School in 1995, after teaching previously at the Chicago-Kent College of Law of the Illinois Institute of Technology. Gordon left Marquette Law School in 2015 to join the faculty at the University of Virginia School of Law full time (having visited at UVA many semesters previously). He also served a memorable year as the Fulbright Professor of Law at Kyiv-Mohyla Academy in Kiev, Ukraine. A wonderful In Memoriam webpage celebrating Gordon’s career appears on the website of the University of Virginia School of Law. Gordon taught courses in Property Law, Trusts and Estates, and Legal History, among others, and was also closely involved with the National Sports Law Institute at Marquette Law School. He was a frequent contributor to the Marquette Law School Faculty Blog, where he was known for his posts on the history of Marquette Law School in general and on the often overlooked athletes who had a historical connection with our institution. His blog posts were sometimes quirky, often obscure, but always among the most interesting to appear on the Faculty Blog. For people who are interested in law, organized baseball represents a fascinatingly self-contained legal system. The sport is like a legal matryoshka doll—one of those Russian dolls where every time you open up the doll, there is another doll inside. The baseball industry is governed by a hodgepodge of statutes and court interpretations. Inside the industry, the game is governed by a mesh of contractual agreements and other restraints of trade; the standard player contract that ties players to teams is like a miniature constitution; and on the field the game is defined by a legal-code-like rule book and presided over by judicial figures known as umpires. And then there are the unwritten rules. Following baseball from a legal perspective is like taking a course in comparative law. In my opinion, Gordon’s dedication to the study of legal history flowed directly from his commitment to learn and understand the truth. Whether he was writing about the challenges faced by African American lawyers in the early 20th century, or exploring the origins of Jesuit legal education, or calling Thomas More “overrated” as a lawyer, Gordon typically questioned the accepted wisdom and sought to uncover the true facts. In so doing, Gordon often challenged me to defend my own assumptions, both in public when we participated in faculty panels and in private over lunchtime conversation. For that reason, among many others, Gordon was a great friend and the perfect colleague. He will be missed. 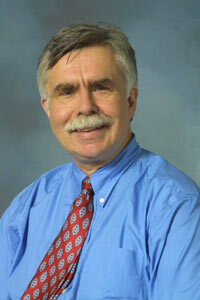 Professor Hylton’s funeral is at 2 p.m. Saturday, May 5, at the First United Methodist Church in Pearisburg, Virginia. There is visitation this Friday, May 4, from 6-8 p.m. at the church. Condolences can be sent to The Hylton Family, 1601 Concord Drive, Charlottesville, VA 22901. In memoriam donations can be sent to the J. Gordon Hylton Memorial Fund, c/o Dan Vogus, 113 Roades Court, Charlottesville, VA . The thing I loved most about Professor Hylton is that your phrase about his blog posts — “sometimes quirky, often obscure” — could also be used to describe him as well, and I mean that in the best possible way. I only had him for one class (Trusts and Estates), and while I can’t say as the years have passed that I remember his lectures in depth, the one thing that has stuck with me is his unadulterated love for teaching. He had so much joy for what he was teaching us that it was hard for us not to love it too, even if the material was dry and complex. He would spend whatever time any student needed helping him or her understand the subjects, and he never seemed to forget what it was like to be a law student himself, which made us all the more comfortable around him. His death is a tremendous loss to the legal community, but even more so as a friend and mentor to those of us whose lives he brightened just by being in them.